LenderHomePage.com is a mortgage website design company that builds mortgage websites and offers mortgage marketing services. LenderHomePage offers a wide variety of template mortgage website styles. 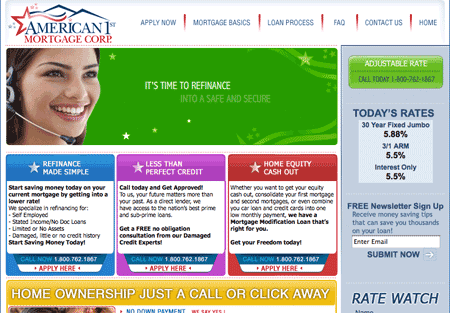 LenderHomePage is also the proprietor of Lender411.com and a wide range of mortgage lead generation websites. LenderHomePage offers three tiers of mortgage website plans, Basic, Deluxe and Custom. The Basic pricing has a setup free of $99 and runs $35 per month. The Deluxe plan has a $199 setup fee and runs $79.95 per month. Finally, the Custom plan has an $1195 set up fee and runs $79.95 per month.